Another summer is just around the corner and it’s the perfect time to book a trip to Spain. Lucky for you, we have some incredible hot deals coming up for the month of August at some of our premiere hotels in Madrid and Barcelona. Please click the hotel links below for more information. Let’s take Barcelona first. We’re offering massive savings on both Hotel Claris and Hotel Granados 83 (up to 50% and 30%, respectively). Hotel Claris is a contemporary 5-star Gran Luxe that was built within the former 19th C. Palace of Count Vedruna. It offers guests a classic old world style and is located in one of the finest areas in Barcelona. Hotel Granados 83 is a 4-star boutique hotel that’s housed in a Neoclassic-style building. Located in Barcelona’s upscale Eixample neighborhood, this hotel is close to the Avenida Diagonal, Paseo de Gracia, and Gaudí’s distinctive buildings, the Casa Mila (La Pedrera) and Casa Batlló. In Madrid, we’re offering discounts on both Hotel Villa Real and Hotel Urban (also at 50% and 30% savings, respectively). 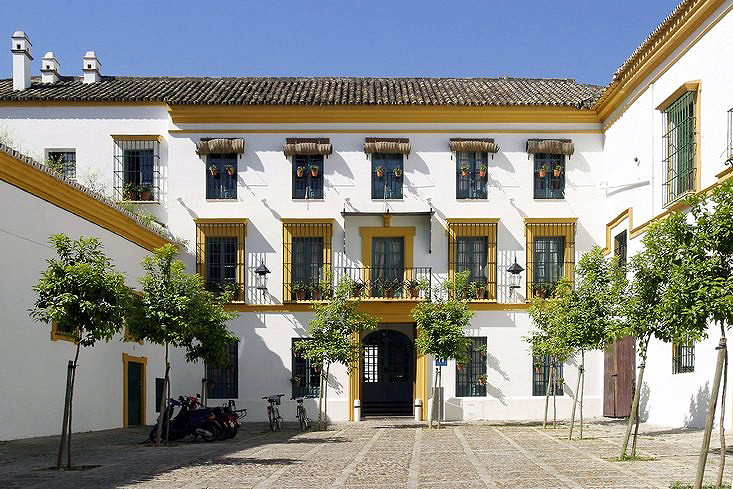 Hotel Villa Real is a 5-star hotel based on 19th C. Spanish architecture. Furnished with period designs throughout (Persian rugs, antique prints, silk curtains and parquet floors), Villa Real is one block from the Paseo de la Castellana and across from the Spanish parliament in the heart of Madrid. Hotel Urban is a 5-star Gran Luxe hotel based on modern, architecturally sleek style. 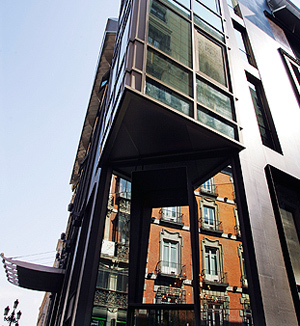 Located in the heart of Madrid’s “Art Triangle,” the building contains a glass-enclosed atrium that rises the height of the building and showcases exposed glass elevators. Dark woods, warm colors, African and Hindu art are used throughout, lending a warm and contemporary feel to the interior spaces and guest rooms. These hotels and offers are only available for a limited amount of time and only valid for travel in the month of August. This special insider rate will not last, so please check out our homepage and contact us before all the available rooms are booked. To check on the availability of a promotional rate, email reservations@ilcweb.com with the hotel name, arrival & departure dates, number of guests (with children’s ages) and room type desired. As the snow melts and temperatures begin to rise, we know nothing gets the blood flowing better than a hot deal. Today we’re featuring a fantastic set of offers for the Hotel Duquesa de Cardona – a stylish 4-star boutique hotel in the heart of Barcelona’s Gothic Quarter. Overlooking the Olympic Port, Columbus monument, the World Trade Center and Las Ramblas, Duquesa de Cardona provides the perfect home base for an unforgettable Spanish experience. April Special – Weekday (Minimum stay of 3 consecutive nights required): Valid April 1 through April 30. Rates: Start at €137.70 + 7% Iva tax, per night (based upon double occupancy in a Classic Room). Offer is subject to availability. Rates with breakfast included also available. April Special – Weekend (Minimum stay of 3 consecutive nights required): Valid April 1 through April 30. Rates: Start at €165.24 + 7% Iva tax, per night (based upon double occupancy in a Classic Room). Offer is subject to availability. Rates with breakfast included also available. Free Night Offer: February 1 through March 31 (except February 15-20), and July 1 through August 31. Stay for 3 consecutive nights and pay for only 2 nights. Offer is subject to availability.